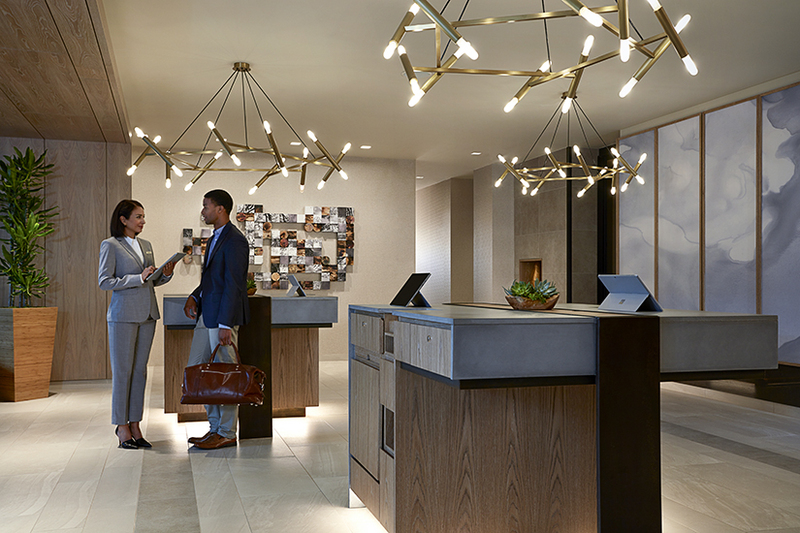 The Marriott hotel brand, now six years into its transformation, with about 50 percent of the hotels completed, needed significant change to become relevant to modern millennial consumers. “It was perceived as a place where your grandparents stayed,” Sussman says. “We wanted to take the brand to a very different place.” The design team came up with a strategy called Marriott Modern, focusing on contemporary, timeless design, a premium aesthetic, and an emphasis on local flavor. 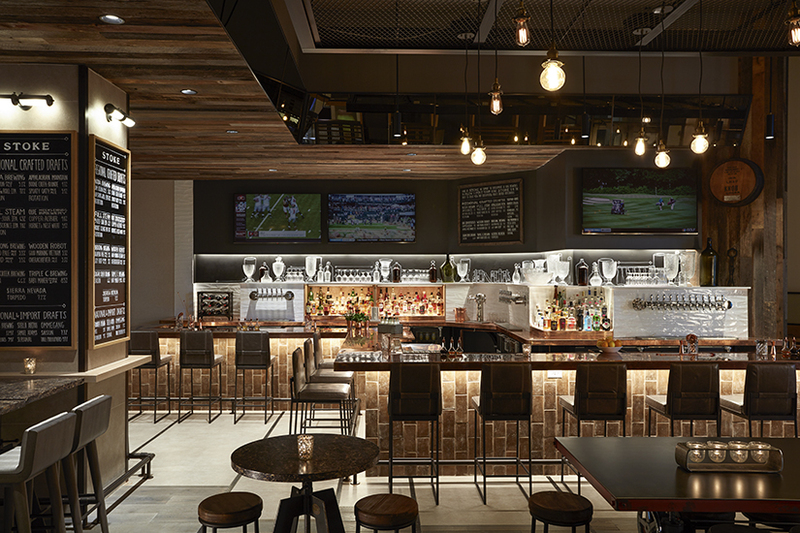 At Marriott Charlotte City Center and other renovated Marriott properties, the bar is the focal point and serves as the place where guests can gather and socialize. “The space feels premium and offers a place for guests to unwind and take a break from their routine,” Sussman says, adding that guest room bathtubs were converted to beautiful, sleek showers because “we know guests expect a great shower experience, not old bathtubs that no one uses.” Sussman and his team made the most of the shower experience by incorporating high-end product solutions that guests will remember, including Delta H2Okinetic Technology, which creates the feeling of more water without using more water. 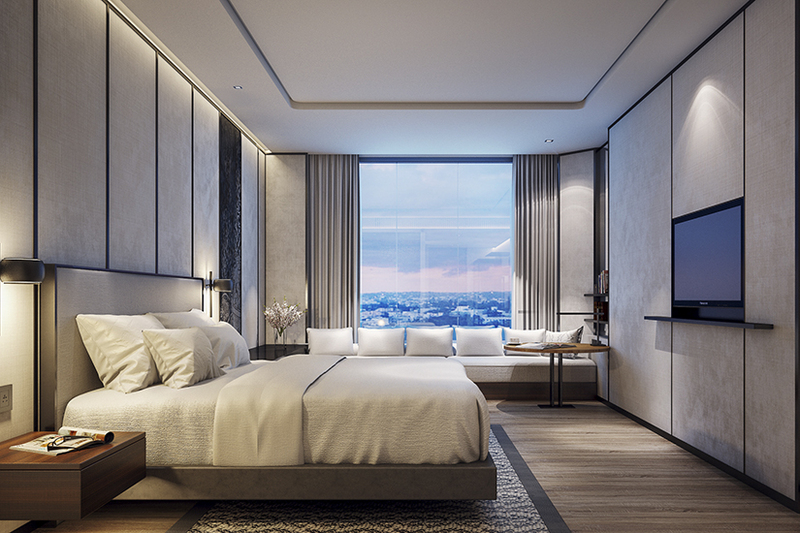 And, to emphasize location, his team is bringing in local artwork and design components at each location to create a sense of place and connect guests with each hotel’s local community. 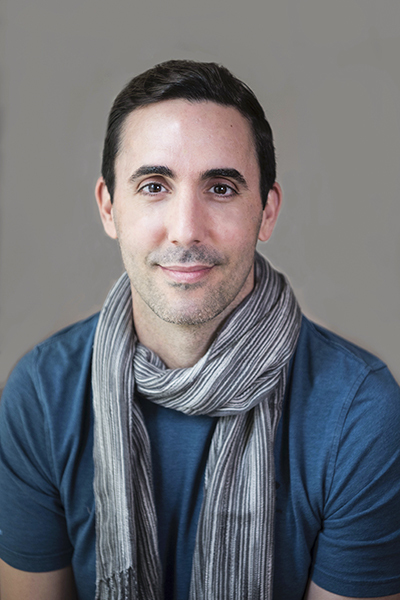 For the Sheraton brand, which is in the beginning stages of its redesign, Sussman and his team have taken a different strategic approach: Sheraton is Marriott International’s most global brand, so its redesign must be global in scope as well. “We went to all the continents and engaged with local teams to understand where they thought the brand should go,” Sussman says. It follows three design principals: The first is fluidity. “The spaces blend intuitively to guest objectives and are active spaces,” Sussman says. Sussman and his team have learned valuable lessons from the Marriott transformation that they are now applying to Sheraton as that new strategic vision moves forward. “We feel very confident we will successfully transform this brand as well,” he says.